ECU also ranked in the top 50 for Quality Education (11th), Peace, Justice and Strong Institutions (22nd), and Good Health and Well-being (28th). The THE University Impact Rankings show how the global higher education sector is contributing to the achievement of the United Nations’ Sustainable Development Goals (SDGs). ECU Vice-Chancellor Professor Steve Chapman CBE, welcomed the University’s top 50 ranking. “We are proud of our commitment in translating ECU’s teaching and research activities into real world impacts and it’s pleasing to see this has again been recognised internationally,” he said. “At ECU our dedicated teachers and researchers develop and impart knowledge that transforms the lives of not just the individuals who study with us, but also the lives of people in communities around the world,” he said. ECU Deputy Vice-Chancellor Professor Cobie Rudd (Strategic Partnerships) has led the University’s work in boosting the representation and progression of women in academia. “ECU is delighted to be ranked sixth for gender equality, but we’ve only just started. ECU has achieved the Athena SWAN Bronze accreditation as one of only 15 institutions nationally in the very first pilot, and has been awarded the Workplace Gender Equality Agency’s Citation as an Employer of Choice for successive years; and this has definitely lifted our game,” she said. This ranking indicator focuses on universities’ commitment to encouraging women to enter and succeed in academia and university study, and universities’ gender equality policies. As part of ECU's participation in the Science in Australia Gender Equity (SAGE) Pilot of the Athena SWAN Charter in Australia, the University is fully committed to ensuring women engage and successfully pursue tertiary studies, with a strong focus on STEMM subjects where there is the greatest disparity. ECU was honoured with an Athena SWAN Bronze Award in December 2018. In February 2019, ECU was named an Employer of Choice for Gender Equality by the Workplace Gender and Equality Agency (WGEA) for the third year in a row. ECU is the only Australian university named in honour of a woman, and is proud to continue to support women in education, particularly in under-represented fields. The THE University Impact Rankings assessed how universities contribute to learning, education and research in their communities. The free public ECU Lecture Series, the Children’s University school outreach initiative, and the University’s involvement in federal policy through the Defence Science and Technology Group are all examples of ECU’s outward-facing activities. The University’s long-standing reputation for the high quality of its teacher education graduates, and ECU’s support for students who are the first in their family to attend university, also contributed to this high ranking. The ranking represents our strong commitment to lifelong learning and positive educational outcomes for all. This ranking evaluates universities’ promotion of peace and justice, and the strength of its policies and structure. In addition, ECU’s research in law and international relations, proportion of graduates from law, criminology and security courses, and the University’s support for academic freedom were also assessed positively. The methodology also looked at how universities use participatory bodies to engage local residents, government and industry. 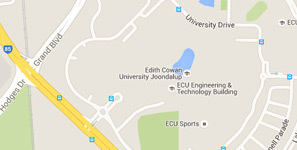 Examples of ECU bodies include the Northern Suburbs Community Legal Centre, Enactus ECU, the Sellenger Centre for Research in Law, Justice and Social Change, the Fogarty Learning Centre and Kurongkurl Katitjin. ECU is pleased that the University’s research into, and graduates from, law, criminology, justice, and cyber security, and its extensive community engagement, have been recognised by this excellent result. For this ranking, universities are assessed based on their research into improving global health outcomes, support for health professions, and collaborations within the local community. ECU’s high-quality courses in subjects such as nursing, sports science, psychology, paramedical science, and other health and medical sciences contributed to the University’s high rank. The ECU Health Centre is an example of how the University is collaborating with local health institutions to improve community health outcomes. The $22 million Centre is an integrated primary healthcare facility located in the central Wanneroo business district. A wide range of health service providers offer an integrated 'one-stop shop' for patients, their families and carers, as well as health promotion services for the general public. The 2019 THE University Impact Rankings and methodology are available via the THE website.